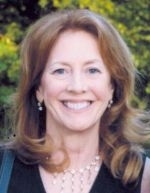 Peggy McLoughlin is a graduate of the two-year Teacher Training Program at the BKS Iyengar Center of Greater Boston. She is a registered Yoga Teacher in the Yoga Alliance's National Yoga Teacher Registry. She is a member of the Iyengar Yoga National Association of the United States. Yoga Alliance maintains a national Yoga Teachers' Registry to recognize and promote teachers with training that meets specific standards. Recognition as a Registered Yoga Teacher (RYT) is granted at 200-hour and 500-hour levels. Teachers registered with Yoga Alliance are authorized to use the initials "RYT®" (Registered Yoga Teacher) after their name, or the initials “E-RYT" (Experienced Registered Yoga Teacher) if they have significant teaching experience in addition to training.